October 19th in Clone Wordpress Themes, WordPress Themes by Wordpress Jedi . I don’t know about you, but Quora is one of my favorite communities. It is all about questions and answers, so you can learn a lot from experts and people with experience by just reading their answers. Want to create a similar Q&A community around your niche market? Discy has you covered. 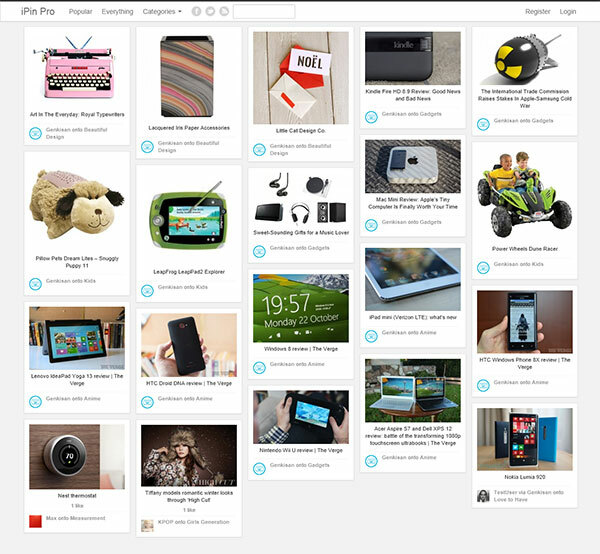 June 20th in Clone Wordpress Themes, Plugin Lists by Wordpress Jedi . June 12th in Clone Wordpress Themes, WordPress Themes by Wordpress Jedi . Every business and organization needs to have an online presence. That applies to museums and other public places. 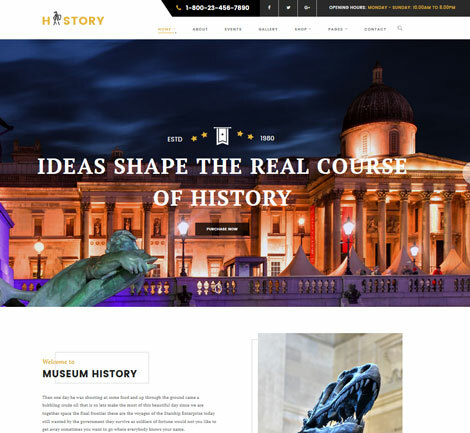 History for WordPress is an elegant theme that lets you build a professional presence for your site. It has a drag & drop page builder and WooCommerce support, so you can complete your site faster. April 7th in Clone Wordpress Themes by Wordpress Jedi . 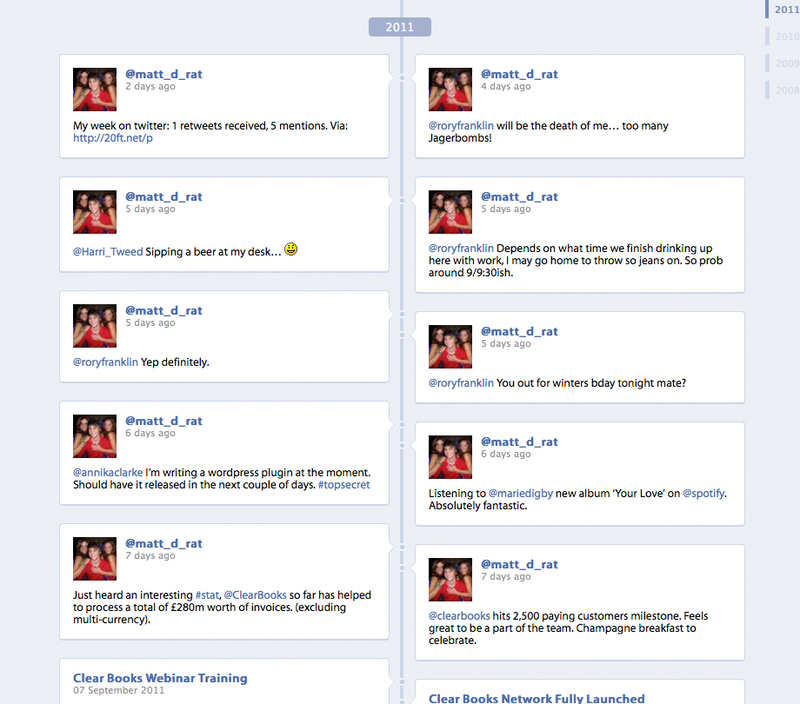 April 3rd in Clone Wordpress Themes by Wordpress Jedi . November 21st in Clone Wordpress Themes by Wordpress Jedi . December 8th in Clone Wordpress Themes by Wordpress Jedi . 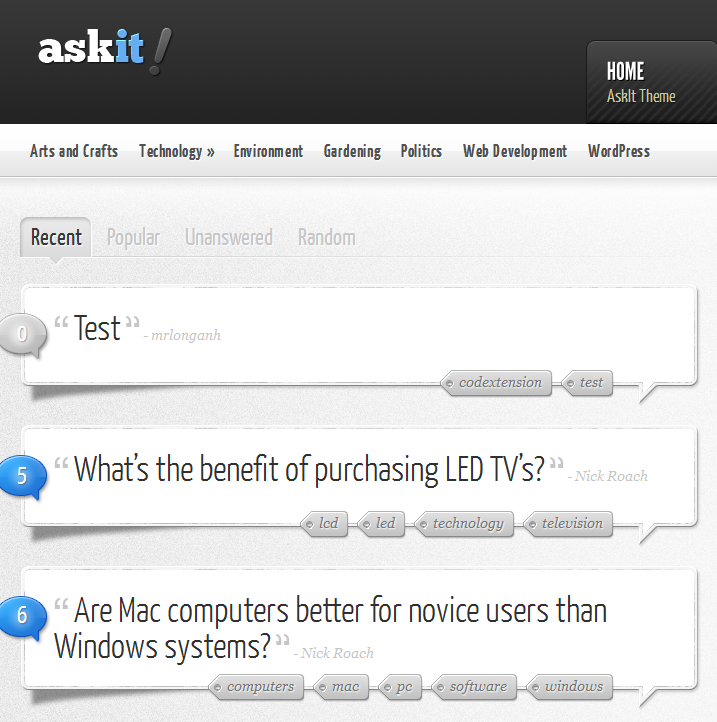 Ask.com is a great portal to ask questions and find answers to the ones you have. Yahoo! Answers and LinkedIn Q&A are other services you can take advantage of to get help for what you are looking for. Answer sites can be quite powerful (and lucrative in terms of revenue), especially if you choose the right niche for them. 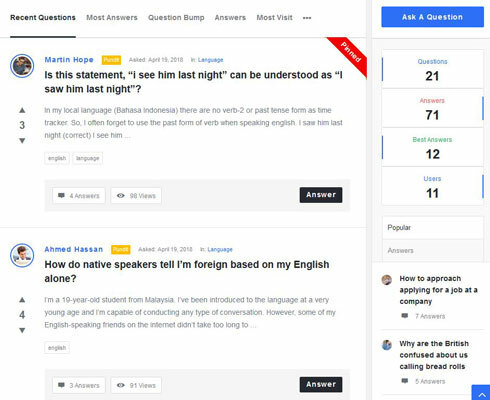 Thanks to AskIt for WordPress, you can create a professional looking Q&A website and start building your answer portal with minimal investment up-front.